The Takeaway: The apparel industry might be missing the mark on product content, but with a new outlook and approach to providing product information on digital channels, those brands could secure sales and reduce return rates. The apparel industry is nuanced in many ways, but one particular facet of driving sales and reducing returns is shared across all markets: Product content is incredibly important. When you're looking for clothes and accessories - online or in-store - it's likely that you don't have a specific item in mind. You know you want, say a jacket for spring, and you probably have some favorite brands, but you rarely know exactly what item you're going to buy until you spot it. You aren't alone. That's how people purchase clothing nowadays. So how can you ensure that your brand wins over consumers and earns sales? Product content. In fact, it's one of two reasons why your customers buy products - with the other being price and promotions, Vishwanath Jayashankar explained on Internet Retailer. "You need to inform your consumers if you want them to buy your apparel products." You need to inform your consumers if you want them to buy your apparel products - and the information you provide will also ensure that items aren't returned due to unmet expectations. Obviously, the Internet is the best place for your shoppers to learn about your clothing and accessories, whether they buy online or in-store. But providing product content isn't enough. 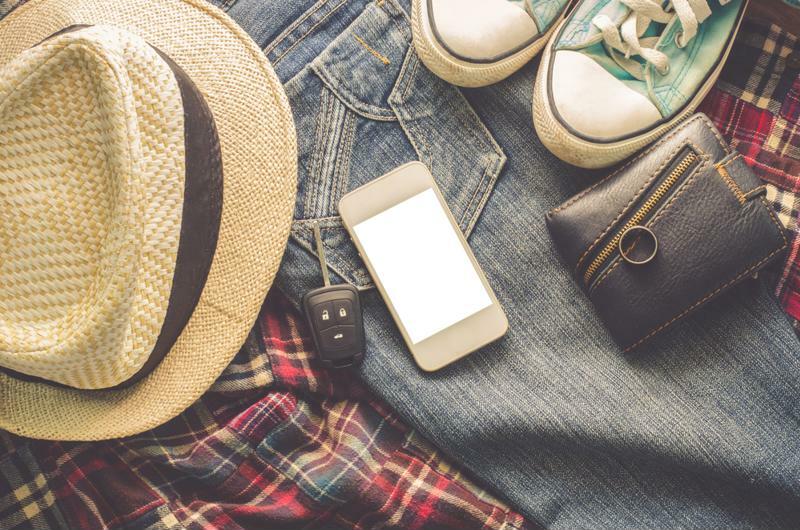 "Rich product content and images have become critically important to purchasing decisions, so much so that retailers and their suppliers need to ensure quality and consistency or they risk losing the sale," wrote Melanie Nuce of GS1 US for Apparel. Furthermore, by not providing rich product content, you're effectively inviting consumers to spend their dollars with other companies that properly inform them on the sizes, colors, collection names, materials, fits and more regarding clothing and accessories. Many people don't care where they purchase or who designed their clothing. Think With Google found that over 33 percent of shoppers don't know what brand they'll buy from or where they'll click "Buy Now" or swipe their cards. Consumers conduct research online and in-store via mobile before deciding how to gear up. Therefore, you must provide your apparel customers with rich product content. But that's easier said than done. Yesterday's processes won't cut it since they aren't aligned well, according to Nuce. "Spreadsheets, email, snail mail, cloud-based systems and other portals are all being used to capture and share product data," Nuce wrote. With so many disparate systems and processes, the result is inconsistencies, inaccuracies, poor quality images, misrepresentations, confused consumers, more returns and fewer sales. Collaborate: To ensure detail and accuracy, your company needs to create product content during the design phase and collaborate internally to work on a single content truth. This requires a central product content management system on which to host that information, those images and other attributes. Automate: Nuce reported that only 19 percent of consumers said product content was "always consistent" when comparing what they found online and in-store. For consistency's sake and to ensure your brand's apparel is consistently and accurately represented across digital and physical channels, your company must implement a system that automatically distributes product content to major retailers' sites. Rich product content is required to inform your apparel customers, and armed with that information, your shoppers will be able to make smarter purchasing decisions. At the end of the day, that results in more sales and far fewer returns.